A native of St. Louis, Eliot was educated at Harvard but lived his literary life in England, where, during the 1920s, he became a leading light of the “modernist” movement in poetry. His lyrical yet challenging works explore the alienation of 20th-century humanity and search for answers in a spiritual wasteland. 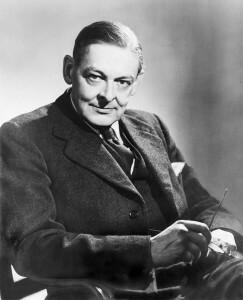 His masterpieces include the long poems The Waste Land (1922) and The Four Quartets (1943)—the latter earning him the Nobel Prize for Literature in 1948.